Why do people come back to Namibia? Northern Namibia is home to some of Namibia’s greatest wildlife, wildest landscapes and least accessible areas, from the waterholes teeming with animal life in Etosha National Park, to the forbidding dunes of the Skeleton Coast, and the imposing mountains of Damaraland to free-roaming desert rhinos and elephants. Exploring much of northern Namibia spells adventure: you’ll need a 4x4, navigation equipment and your own supplies, but the rewards are all about being able to immerse yourself in untouched wilderness. Stretching up to the Angolan border and with a slice of land sandwiched between Botswana and Zambia, northern Namibia is the country’s wildest and most remote region. 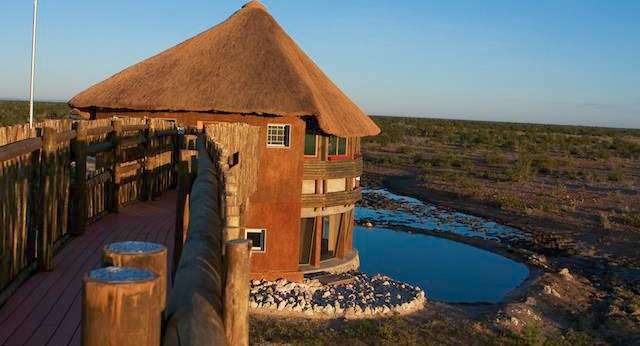 Its most popular attraction by far is Etosha National Park, which will astound even the most seasoned safari goer with abundant animal life congregated around waterholes in the dry winter months, but northern Namibia also has far more to offer. Waterberg Plateau Park has an unusual setting of a giant sandstone plateau looming over the desert plains, where you can find rare species such as sable and roan antelope, while to the northwest Damaraland is a starkly beautiful rugged landscape where you can explore ancient rock art sites, climb mountains and track desert elephants and rhino. In the far northwest up against the Angolan border, Kaokoveld is Namibia’s least accessible area and one of southern Africa’s last remaining true wildernesses, where desert elephants roam in vast spaces and semi-nomadic Himba people live in scattered villages. In northeastern Namibia there’s adventurous Kalahari safaris to be had in Khaudum National Park, while further north in the wettest part of the country, you can have a taste of the Okavango Delta in the lush forested islands and rivers of the Zambezi Region, where wildlife viewing is done by traditional dug-out canoes. Etosha National Park is the standout highlight of northern Namibia and one of the top parks on the continent. Come in the winter months to easily spot lions, black rhino and herds of elephants as well as a host of other animals as they traverse the parched landscape and congregate at waterholes. 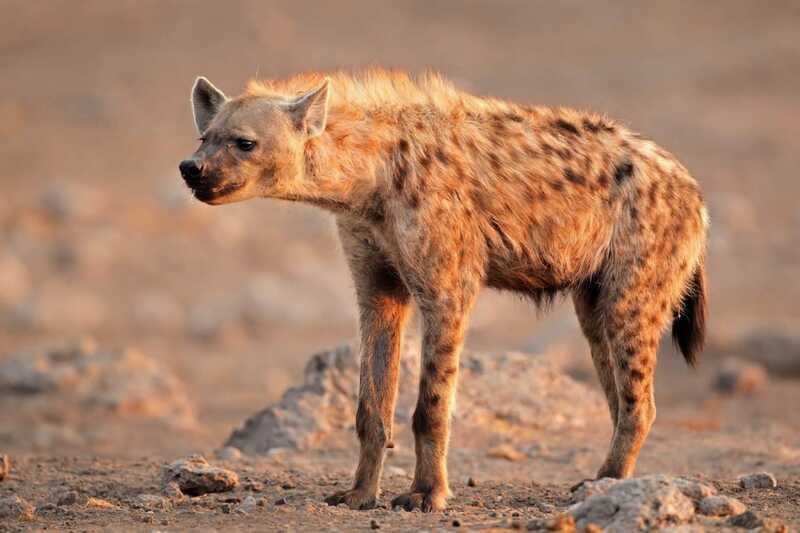 Etosha is an easy option for a self-drive holiday, with good lodging options spread out in the park and well-marked roads that can been driven in a 2WD car. With its sandstone plateau towering over plains of the desert, Waterberg Plateau Park is another excellent park to the south of Etosha, offering great wildlife viewing from waterhole hides and on hiking trails of species such as black and white rhino, rare sable and roan antelope, eland, kudu and tsessebe, as well as brown hyena and leopard. One of the best places in Africa to do cheetah and leopard tracking, the 200 square kilometre Okonjima Nature Reserve is home to the AfriCat Foundation, one of the country’s best conservation initiatives. The foundation rescues and rehabilitates cheetahs and leopard from human-wildlife conflict situations and gives you the chance to track these predators on foot in the nature reserve: a thrilling experience, and one that also contributes to the survival of these threatened species. Covering a vast area in northwest Namibia, Damaraland is harsh, remote and incredibly beautiful – a land of huge plains, deep gorges, granite outcrops and jagged peaks. Here you can track free-roaming desert rhinos and elephants: Damaraland is one of the only places left in southern Africa where wildlife is found outside of parks and reserves. Other highlights of the region are climbing the mountains of Brandberg – Namibia’s highest peak – and Spitzkoppe, and exploring the incredible rock art gallery of Twyfelfontein, a UNESCO World Heritage Site, where more than 2500 paintings are spread across 17 sites. To the north of Damaraland, Kaokoveld is a true wilderness and the least accessible region in the country: a sparsely inhabited place of sandy tracks and massive open vistas, desert elephants and dramatic mountain scenery. 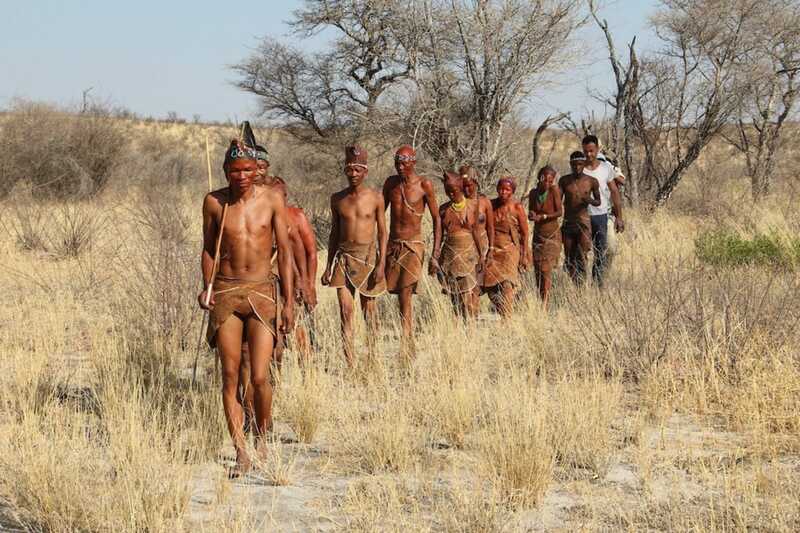 Kaokoveld is the ancestral home of the semi-nomadic Himba people, whom you can visit in scattered villages to learn more about their fascinating culture and traditions. Another highlight of Kaokoveld is Epupa Falls, a beautiful waterfall oasis surrounded by baobabs, fig trees and palms. 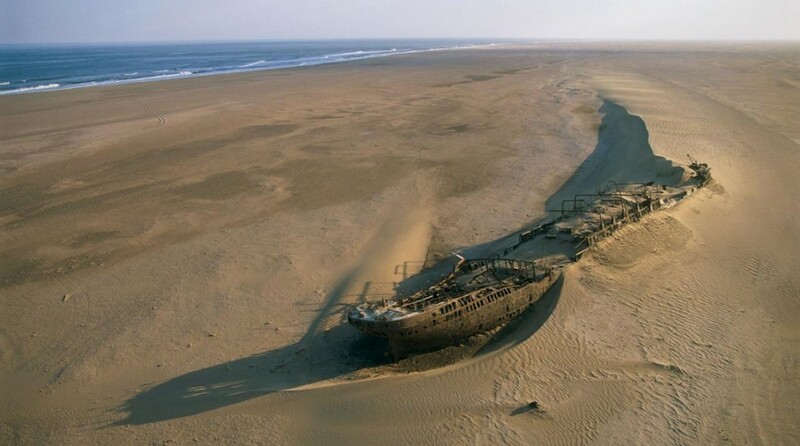 The Skeleton Coast, a 500-kilometre stretch of desolate oceanfront where desert dunes meet the icy waters of the Atlantic and many ships have been wrecked over the centuries, is one of Namibia’s most inhospitable areas. Travellers visit the Skeleton Coast for its harsh beauty of soaring dunes, welwitschia-dotted plains and rolling fogs, the feeling of an end-of-the-world remoteness, as well as the 100 000-strong seal colony at the Cape Cross Seal Reserve and the eerie rusting skeletons of shipwrecks scattered along the coast. While many places along the coast can only be reached by 4x4, most of the Skeleton Coast is inaccessible by road, so if you’d like to really experience the extreme isolation of this wilderness area, a fly-in safari is your best option. A narrow strip of land wedged between Angola and Botswana and bordering on Zambia and Zimbabwe, the Zambezi Region (formerly the Caprivi Strip) offers a different safari experience to the rest of the very dry country, with its rivers, floodlands and lush vegetation supporting animals such as hippo and buffalo – which you don’t find in many other places Namibia – as well as elephant, lion and more than 430 species of birds in Bwabwata National Park and Nkasa Rupara National Park. Southwest of the Zambezi Strip, on the border of Botswana, Khaudum National Park in the northern Kalahari offers a truly wild experience of off-road adventure. With few signs and sandy tracks, you’ll be on your own navigating your way around the park to spot lions and wild dogs. Near the park are scattered villages of the Ju/’hoansi !Kung people. Tourism initiatives allow you to have cultural experiences with these former hunter gatherers, as they share some of their traditional skills in experiences such as bush walks and animal tracking. Parts of northern Namibia are extremely remote with rugged terrain and rough roads (or no roads at all), which means you need to have done some thorough research before your travels and you have to be prepared with two spare tyres, extra petrol and plenty of food and water in the car. In the remoter regions such as the Kaokoveld it’s advisable to travel with a guide and in a convoy of at least two cars. Many roads are only accessible by 4x4 and some roads in the Zambezi Region may be flooded in the wet summer months from November to March. During November to May there is a medium risk of malaria in northern Namibia, especially in Etosha National Park and in the Zambezi Region. Consult your doctor about taking malaria prophylactics and take necessary precautions to prevent being bitten.